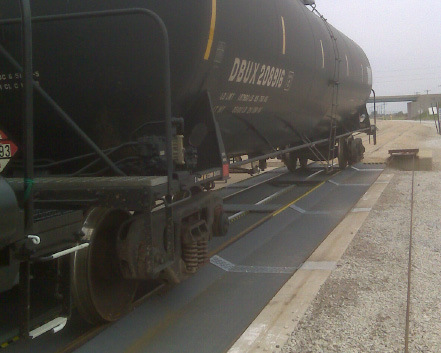 The Burlington Northern Santa Fe (BNSF) Railway needed a product to control the fuel spills at the fueling station in Galesburg, Illinois. Contech Collector Pans Customized Type 2 with special anti-slip coating were the ideal solution at the BNSF Fueling Station because they effectively catch wastes such as spilled or leaking fuel, oils, greases, chemicals and other harmful pollutants. Collector Pans are available in a variety of materials to meet application criteria and can be designed to a project’s specifications. The modular system of steel pans were easily installed on the existing tracks, resulting in minimum track downtime. BNSF also had a pulley system at the fueling station in order to move the railroad cars so a special grate cover was needed for the left side of the pan drains. Contech quickly manufactured and delivered the collector pans and grate cover at an economical price for the railroad. 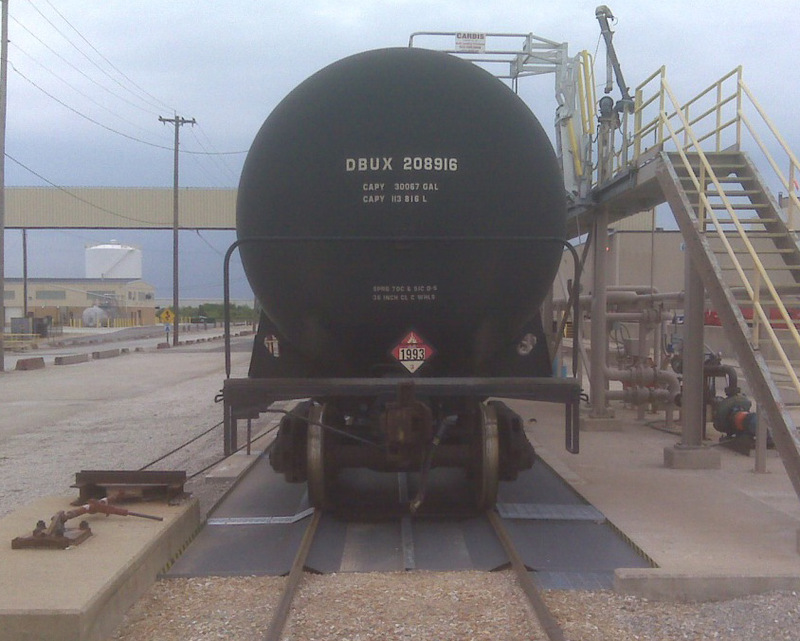 Alternative applications for Contech Collector Pans are ready tracks, tank car loading and unloading areas, washing facilities—anywhere that pollutants can drip from standing rail cars or other equipment.